Check out Tobi's Burton High Rise Cropped Two Tone Girlfriend Jean Babe you gotta fray this way. The Burton Cropped Medium Wash Two Tone Girlfriend Jean features a high waisted fit, ankle length construction, and an asymmetrical frayed hem. 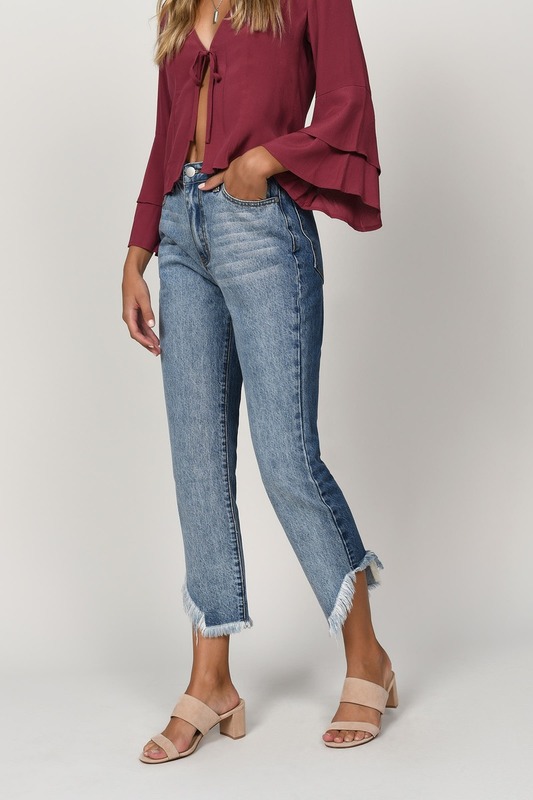 These frayed hem jeans will look incredible with a crop top and moto jacket. Babe you gotta fray this way. 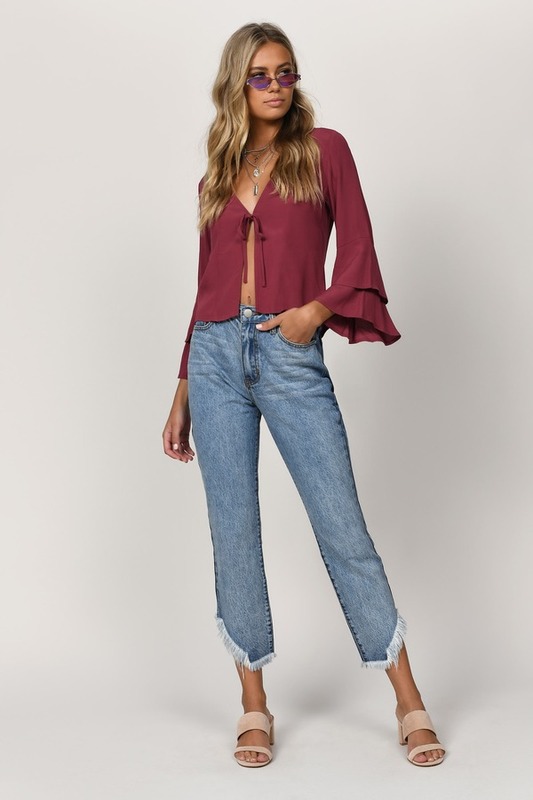 The Burton Cropped Medium Wash Two Tone Girlfriend Jean features a high waisted fit, ankle length construction, and an asymmetrical frayed hem. 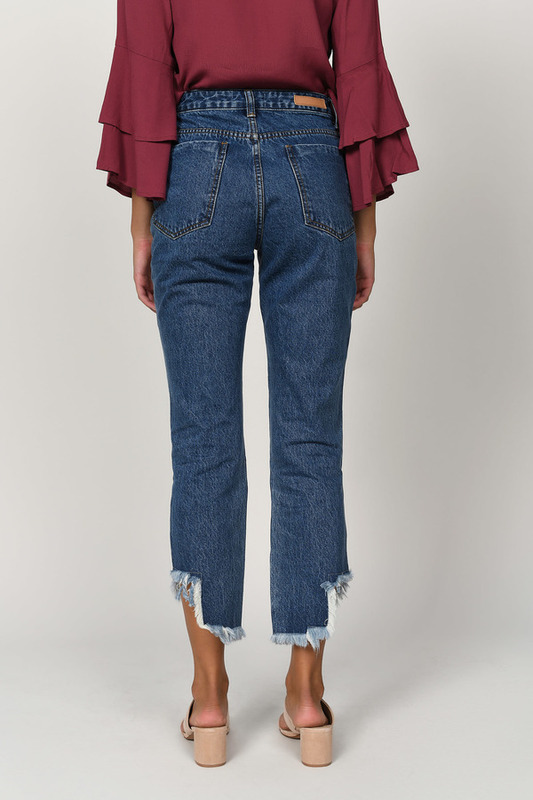 These frayed hem jeans will look incredible with a crop top and moto jacket. Black modeled on a size 26.